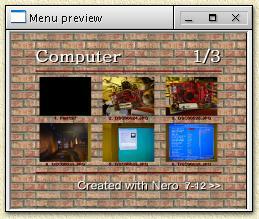 Nero Burning ROM by Ahead is a versatile piece of software. 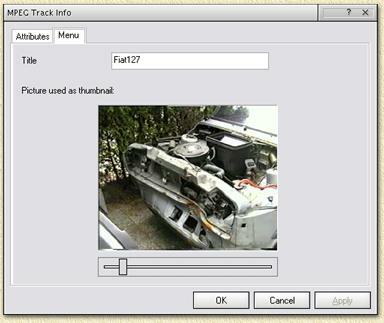 It allows you to create VideoCD's with navigation menu's as well. Since we are about to create a VideoCD with menu's, please check the option "Enable menu". You can also create a VideoCD without a menu, see "CDRW - VideoCD's with Nero" for details.